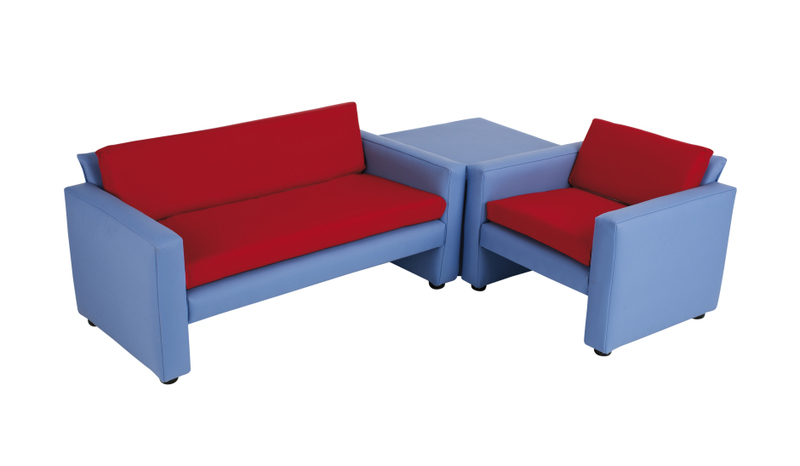 Set comprising of an armchair sofa and corner table designed for primary schools and nurseries. 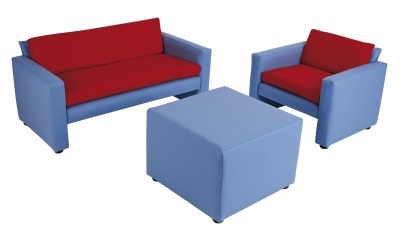 Comes in a set as shown in a choice of five Cotton Drill fabrics and ten wipe-clean vinyl options. Delivered in 10 - 15 days.